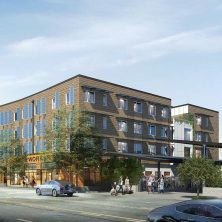 Currently under construction, The Shea Apartments is a new 31,361 SF, 5-story mixed-use building, comprised of 2,260 SF of commercial space, 32 apartment units and structured parking for 10 vehicles. 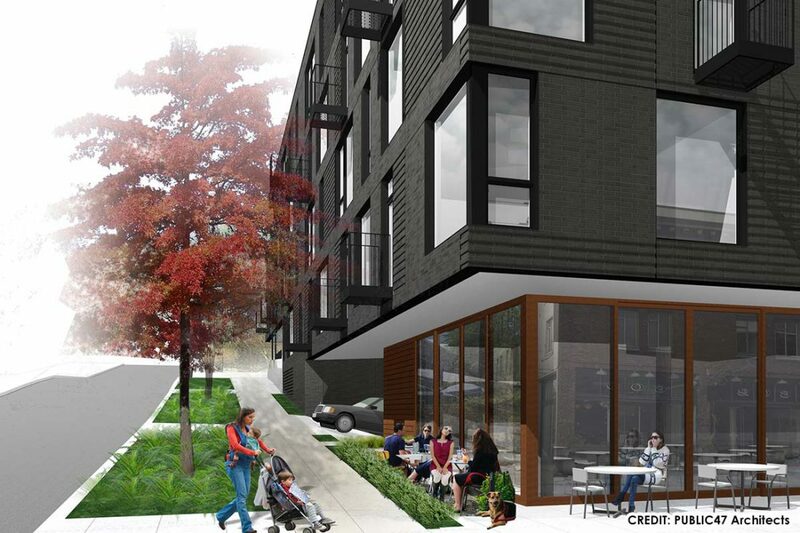 The structure is 4 stories of wood-framed residential over 1 story of post-tensioned concrete retail and parking. 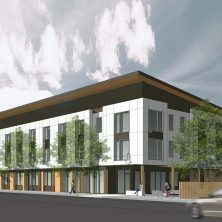 The building is being constructed on a tight, sloping sight that is only accessible from one side. 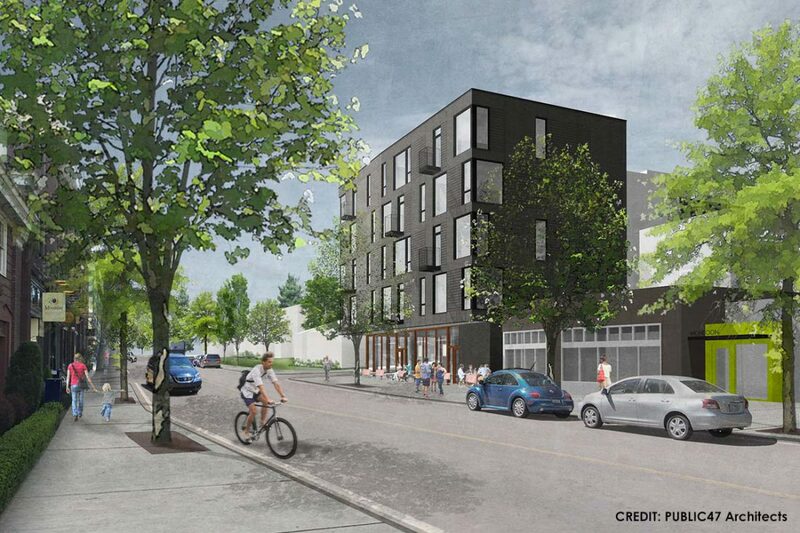 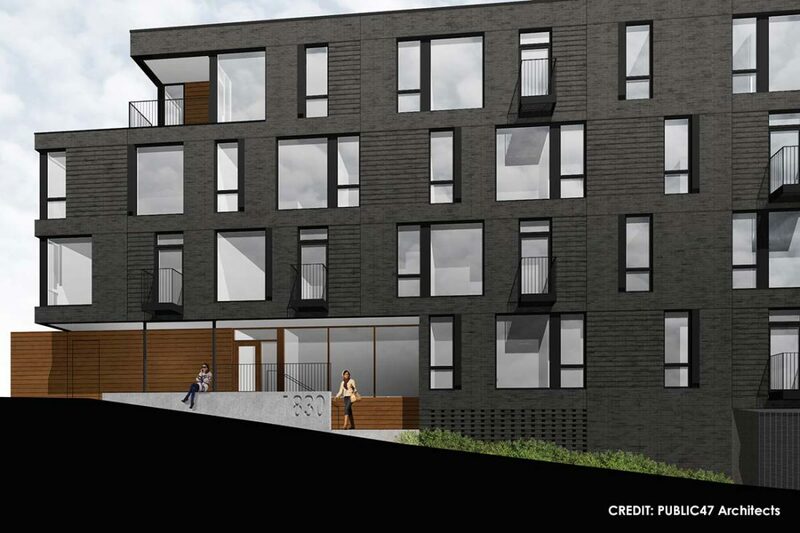 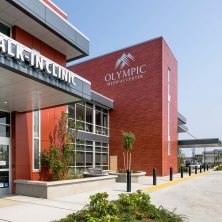 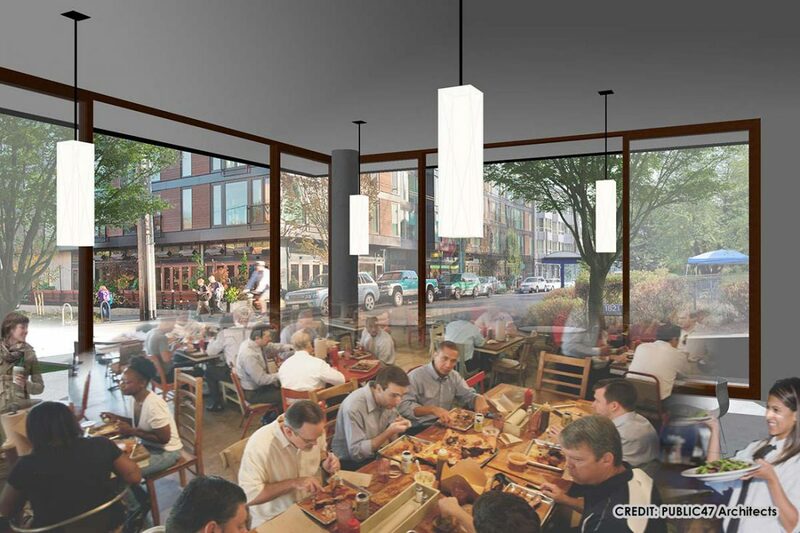 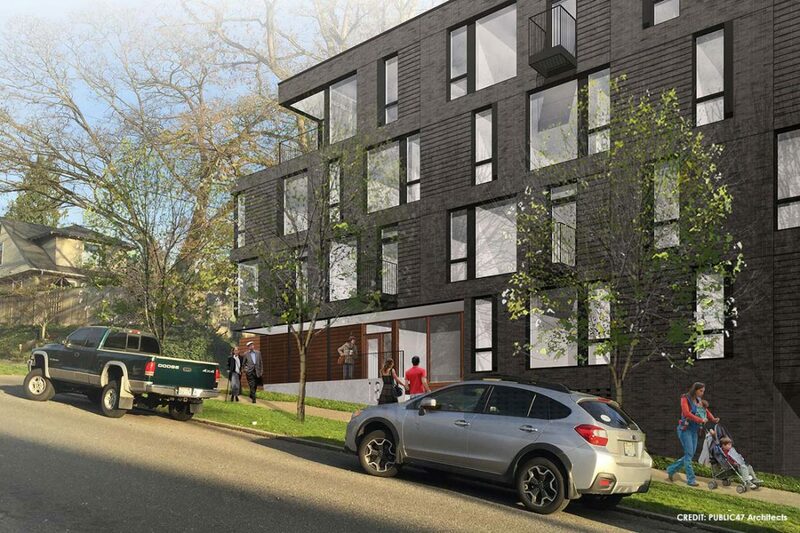 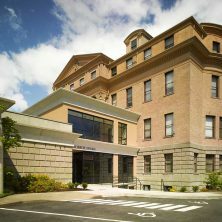 The project is located within a dense urban neighborhood (Capitol Hill) and directly adjacent to an existing building where tenants will remain fully operational for the duration of the project. 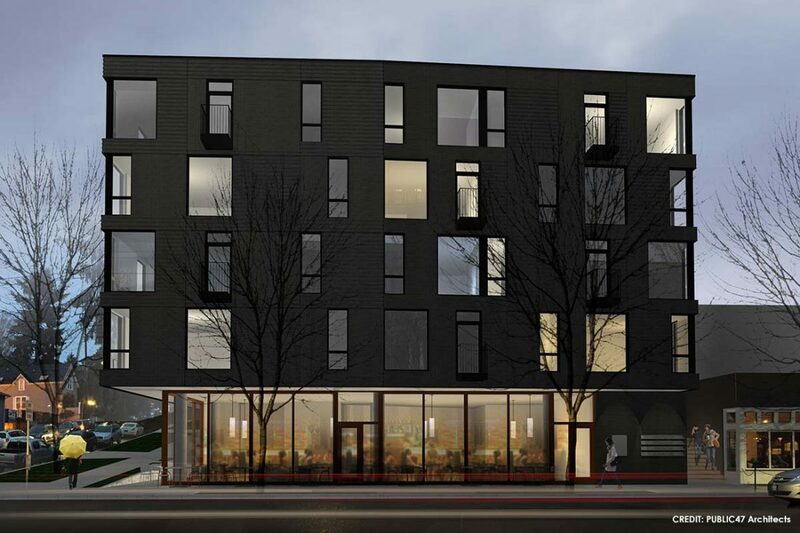 Because of the proximity to this building, the site required substantial shoring and underpinning. 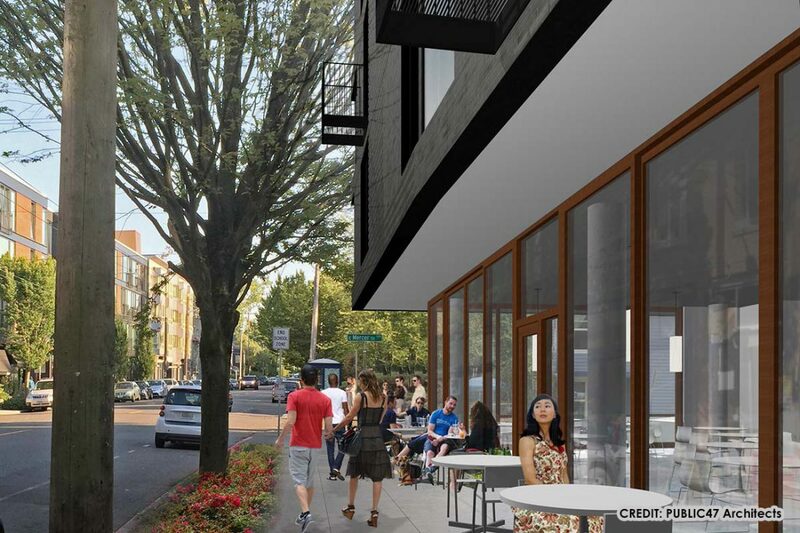 Neighbor relations and coordination with SDOT for pedestrian access are also critical components to the project.